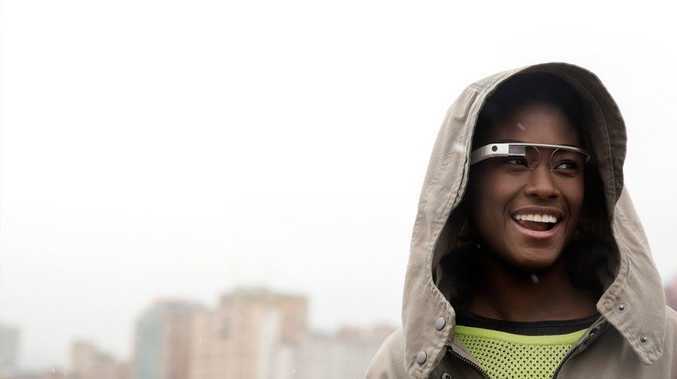 GOOGLE has been touting Google Glass, its hotly-anticipated high-tech spectacles, as the future of mobile technology. Yet software developers were left wondering how, exactly, they would make money from the invention, after the internet search giant announced that it would not allow them to charge users for their apps. In the newly released terms and conditions covering Glass, Google also said it would not allow in-app advertising on the device's eye-display. Google co-founder Sergey Brin, 39, has described the digital specs as the first in a new generation of "wearable tech" items. Software developers and early adopters known as "Glass Explorers" will receive the first prototypes of the device imminently, with consumers expected to be able to purchase Glass before the end of this year. The voice-activated web goggles display digital information on a tiny screen just in front of the wearer's right eye. According to new product details also published by Google, the display is equivalent to viewing a 25-inch screen from eight feet away. The device's five megapixel camera can record video at 720p resolution, while its "bone conduction transducer" conducts sound via the user's cheekbones to the inner ear, meaning there is no need for headphones. Its battery, Google claims, will last for "one full day of typical use". The device and its API (application programming interface), Mirror, were debuted recently at the South by Southwest (SXSW) technology festival, where tech fans were treated to a demonstration of the Gmail and New York Times apps.